“So are you from Pakistan?” she asked. I proceeded, for not the first time since arriving at university, to explain that Pakistan was my country of origin, Britain my country of nationality and that I had grown up elsewhere. “Ah, confused.” she stated, matter-of-factly, nodding her head in a part-sympathetic, part-patronizing manner, as if she knew all she needed to know to psycho-analyze my very existence. Well, I thought, I certainly didn’t come here for judgement to be passed on me by passer-byers, but since you are offering your self-evident wisdom to me for free, I suppose I ought to be grateful. So marked the beginning of a prolonged background experience for me at university in dealing with my peers from my ancestral homeland; mostly rich Pakistani kids from a handful of elite schools and families. ‘Background’, because such views never bothered or distracted me for more than a moment in those 3 years, yet I always felt this sentiment lingering in my interactions with them. I state the following with the caveat in mind that many of the Pakistanis I met on campus were agreeable and open-minded chaps, but this phenomena has occurred far too often for it to be anything less than a social trend. 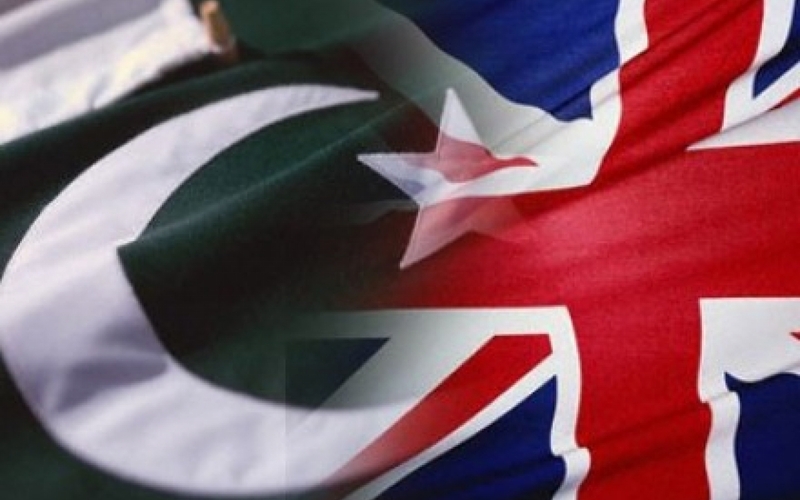 For some reasons, many Pakistanis completely fail to understand the very concept of a comfortably British Pakistani community, with English as its mother tongue and Britain as its primary country of allegiance. It is either a conceptual shortcoming, or sheer ambivalence towards individuals who form part of this community (most of whom didn’t make the choice of migration themselves anyhow). Perhaps at the back of their minds they believe those who left Pakistan for greener pastures have somehow betrayed the nation, although as much is certainly never said. Perhaps they harbour some kind of rivalry or jealousy with Pakistanis who have become successful abroad. Perhaps their condescension stems from our inability to speak Urdu, or perceived ‘Anglicisation’. I admit I have yet to figure out the source of this misunderstanding, but it certainly baffles me given they are an otherwise intelligent and cultured group of students. If it wasn’t so disappointing, their unintentional irony would be cause for some bemusement. They are the same people who speak English in Pakistan as a sign of their class, and look down on the middle and lower classes who speak indigenous languages. They are the same people who seem so uneasy with the culture, religion and traditions of the great mass of Pakistani people, instead opting for overt Westernisation and conformity with homogenised global norms. I don’t mean to reverse the condescension, but who are you to look down on my identity struggles? And do we struggle with our identity? Sure. Being British, Pakistani, Muslim, 2nd and 3rd generation migrants in a country that is changing rapidly, hailing from a nation mired in crisis and global scrutiny – that’s not easy. Nor is it so difficult to be debilitating to us as a community. We do have issues, but we are dealing with those issues ourselves – we don’t need input from outsiders that haven’t the slightest appreciation of our circumstance. So thank you for your concern, but really, no thanks. And, as it happens, I’m not confused at all – but you are. nice piece. ‘Confused’ is a really bad term as it is so false. ‘Mixed’ is perhaps a better term. So many people these days have backgrounds that are mixed. I come from rural Wales, where it still takes several generations before a family is considered truly ‘local’, my family are still considered outsiders because we moved from the neighbouring county (some 30 miles) Generally people put too much emphasis on background, it’s interesting and important for individuals, but really we are all world citizens. Yes you make a fair point, it may be a cliche but we always have more in common than our differences. And besides, we all moved (migrated) to where we are today at some point anyway really!